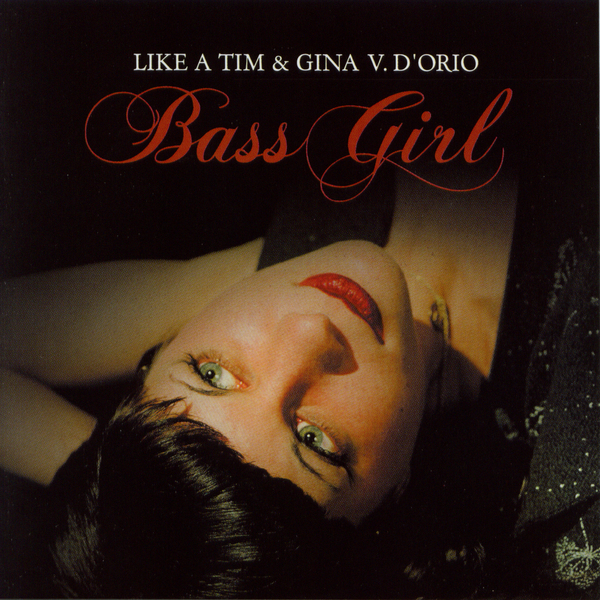 Totally unhinged, not-what-you'd-expect collaboration between Like A Tim and DHR veteran Gina D'orrio, apparently featuring 9 classic American pop songs (10 on cd) from the 50s & 60s re-done mad style. "Bass Girl" can perhaps best be described as a smokey Twin Peaks era Julee Crusie spliced with a plastic 80's sensibility that brings to mind some of the worst nights out I've ever enjoyed. Or perhaps the soundtrack to a classic 80's John Hughes movie reworked by Vangelis. Not entirely bad, just very VERY odd. Give it a listen.